This Cull is Simply Wrong. Once again the Coalition Government flies in the face of sound evidence and gives in to simplistic right wing opinion, this time as expressed by the Country Landowners. They want to kill badgers, they are generous donors to the Tory party, so they are to be allowed to kill badgers as a reward. Culling badgers to control bovine Tb has no scientific basis, Lord Krebs, who led the recent Badger Cull trials has described it as ‘crazy’, his report showed that culling is ineffective and runs the risk of increasing rates of infection. Analysis of the cull trials in southern England by the Medical Research Council showed that rates of cattle infection increased in the cull areas. Disturbing badger clans by culling them only increases badger mobility, an effective way of speeding up the spread of the infection. The proposed culls in Gloucestershire and Somerset are not ‘evidence led’ as the landowners claim, neither are they being scientifically planned. To be regarded as successful, the culls require 70% of the badgers in the control area to be killed, yet the landowners do not propose to carry out a population survey, so they plan to kill 70% of an unknown figure – utter nonsense. 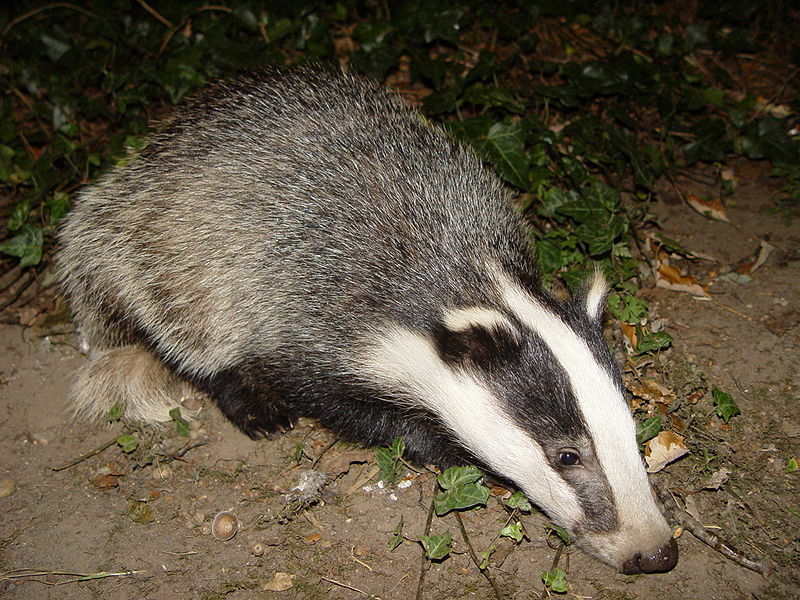 For the cull to have any hope of having an impact on bovine Tb, an area of 150 square kilometres will need to be controlled for a period of four years, with clear access to at least 70% of this area for the culling teams. With shooting to be done at night, the safety issues involved are clearly considerable, and a 100% clean kill rate is highly unlikely, so many badgers will be wounded, to die later. But of course, the consortium of land owners who are organising the cull will have a good excuse to close all public access to this area. Probably they also plan to hunt foxes while they are at it! They will also doubtless claim the cost of the cull against their tax, so in the end it is the taxpayer, who mostly oppose the cull of badgers, who will pay for the killing. The landowners set as their target a reduction of the incidence of Tb of 15%. So at the end of the cull, they will still have 85% of the disease untouched, what then? There are a multitude of reasons why this the cull is wrong; the scientific evidence does not warrant it, there are significant concerns over animal welfare, and public safety. For us there are ethical concerns, do we share this planet, or do the rich and powerful have the right to take it as their own and do as they please? The cull demonstrates once again that in our economic system, nature has no intrinsic value, if it can’t earn profit, it must be swept aside. Sadly the badger has become the scapegoat for this disease, which the Green Party recognise as a serious disease of the dairy herd. It has to be properly tackled in order to safeguard the health and welfare of cattle and the livelihood of the dairy farmer. The Government, DEFRA and the NFU, all who choose to ignore the science and continue to claim that culling is effective, must now accept the scientific evidence face up to the reality that at least 85% of the disease is caused by cattle to cattle transmission. That requires proper funding for the necessary scientific research and development of treatments and husbandry systems. Unless this is done, the disease will continue to spread as will the distress it causes to farmers and their herds. This entry was posted in Agriculture, Animal Rights, Environment, Issues, National and tagged animal welfare, farmers, farming. Bookmark the permalink.